A skilled and confident advocate, Andrew Turner is enthusiastic and professional, approaching matters with a strong client and commercial focus. Following transfer to the Bar from the Roll, Andrew has a foundation and knowledge base in all areas of personal injury litigation and costs. His straightforward and approachable style, excellent bedside manner with lay clients, and commercial awareness make for a winning combination. Having being trained in billing paper files prior to the onset of case management software, Andrew is skilled not only in the technical aspects of costs arguments, but also in arguments as to individual elements of the bills themselves. As such, Andrew is regularly instructed by both paying and receiving parties in all aspects of costs cases, including detailed and summary assessments, oral reviews of provisional assessments, and in attending CCMC and costs budgeting hearings. Andrew is happy to accept instructions in respect of all aspects of personal injury matters, having particular expertise and experience of employers’ liability, public liability and high value claims. He also has substantial experience of RTA matters with issues of credibility, causation and LVI disputes. In addition to written advices and pleadings, he regularly attends court at all levels in respect of application hearings, disposal hearings, and fast and multi-track trials. 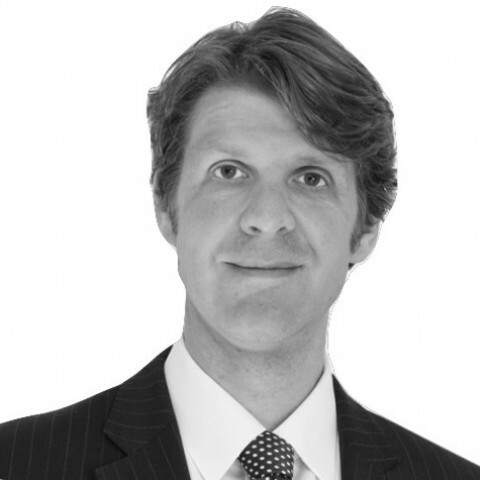 Andrew has long experience in all aspects of credit hire and is regularly instructed by both claimants and defendants. A qualified mediator, Andrew is a natural choice to advise and represent clients in mediation, at joint settlement meetings and at round-table conferences. Particularly in respect of actions involving allegations of negligence against solicitors. Having spent nearly two decades practising law, Andrew has a depth of knowledge and experience drawn from working both as a solicitor and as a barrister. He prides himself on the quality of his work and his attention to detail, but most of all in achieving the best outcome for his lay and professional clients. He is a keen proponent of technology, and welcomes instructions by email or other electronic means. As head of department in his previous firm before transferring to the Bar, he assisted in the transition of the firm from being largely RTA based, to being approximately 70% non-RTA in nature, and is happy to work with firms in a consultancy role where they are looking to make similar changes. Similarly, Andrew regularly attends solicitors’ offices in an ad hoc advisory capacity, and is always keen to discuss how he can offer best service to those who instruct him. Andrew is accredited to accept instructions on a public access basis and his experience as a solicitor makes him a natural choice in such matters. Why choose Andrew Turner as your barrister? Hard-working and successful… As Head of his firm’s first-ever non-RTA department, in nine years Andrew assisted the company in moving from being largely RTA-based to having approximately 70% of its work non-RTA. He has continued this ethos in his years at the Bar to build a thriving practice focussed on exceeding clients' expectations. Easy to work with… Andrew sees cases from all perspectives, bringing a strong commercial focus, a friendly manner and excellent client management skills to his work. Flexible fees… Both on private retainer and CFA basis. Available across the UK… Based in Staffordshire, Andrew is centrally located and happy to travel nationally. Ease of instruction... Andrew welcomes instructions in a manner that best suits his clients, and is also glad to to advise by telephone or via email if required. After his family, Andrew’s two main passions are cars and music. He also enjoys photography – particularly travel photography, in which he used to dabble before his children required an on-call chauffeur. Andrew [Turner] is an exceptional advocate and whether it is a fast or multi track case he employs such enthusiasm that it is contagious. Even when odds stacked against him he will go down fighting for the client. Razor sharp mind with a practical solution all on hand. Andy Turner was a solicitor here at Amelans for 9 years, specialising in personal injury work. We will certainly be instructing him at Clerksroom as we feel he will have a unique insight into what personal injury solicitors require of Counsel. We feel that, in particular, his appreciation of the funding issues surrounding personal injury claims will be unique. We wish him all the best and look forward to a lasting business relationship. Outside of these key areas of law, Andrew Turner (2010) is always willing to consider any enquiry requiring the experience or knowledge needed to help you or your client. Please call Andrew direct or the support team on 01823 247 247 if you would like to discuss any aspect of this profile.